After a five-year engagement and not a peep or inclination of the twosome ever walking down the aisle, Michael Strahan and Nicole "Body of a Goddess Face from Hell" Murphy have finally officially thrown in the towel on their relationship. The breakup was announced just days before Strahan was set to be inducted into the NFL Hall of Fame. I'm sure people would have been asking "where's Nicole?" so it was best for them to announce their breakup before the ceremony. To be honest, I don't think anyone actually expected these two to get married. I mean, who the hayle stays engaged for five years (don't you dare say Evelyn Lozada or Chrissy Lampkin, those birds don't count). The couple is allegedly calling it quits because of the distance. Strahan is currently in New York filming "Kelly and Michael" while the Hollywood Exes' star is in Los Angeles doing only God knows what. Apparently neither of them wanted to move to the opposite coast to make their relationship work which to me is b.s. Obviously their relationship didn't mean that damn much to them anyway. I hope Nicole is not stressing over this breakup. Strahan talks with a lisp and he allegedly aint checkin for women anyway (seriously, if you haven't read this post, get on it!). Nicole needs a real man by her side. I might even forgive her for that Eddie Murphy debacle if she can clean her act up and get with a real man! Check out this video I made of Nicole and Michael. I also sprinkled in some extra juice for all the tea lovers. Thank me later! 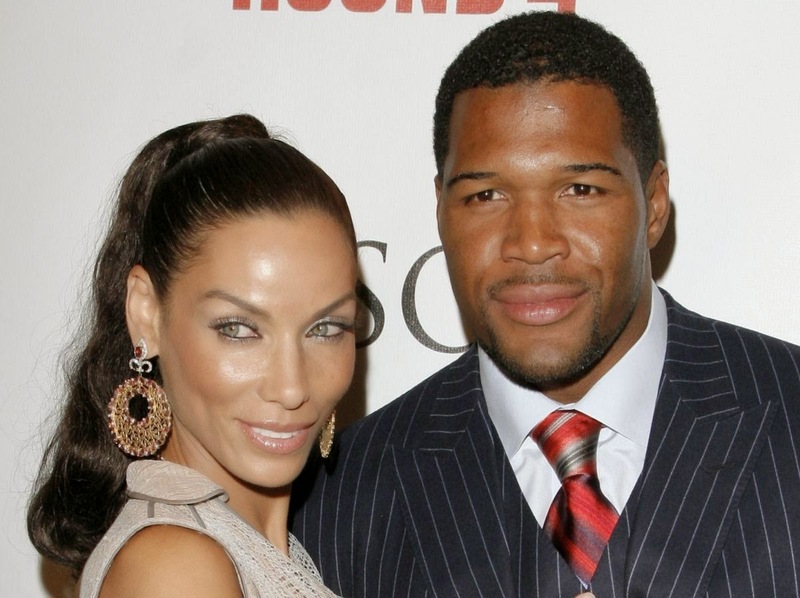 What do you think about Michael Strahan and Nicole Murphy ending their five year engagement? Maybe she found out that Michael has a little sugar in his tank like her ex Eddie.